Stampin'Up! Wonderful Wreath for the Holiday Catalog Open House! Good morning and happy Tuesday! Just a quick post this morning. I just returned home yesterday evening from helping Alisa with baby Oakley, and now I'm off again early this morning to run some errands and to keep an appointment! You know how things are when you've been gone for from home for nearly two weeks but your family is still there! Chaos! Loads of laundry, and stuff just out-of-place! Ohhhhhhh! Isn't this pretty? I received this in one of the swaps I sent to convention this year. I'm so glad I did! That's all for now. Thanks for stopping by to check on me. Until tomorrow, have a Stampingrox! day! Stampin' Up! Gingham Garden Teapot Instructions! Good morning! Oakley has his next bilirubin test this morning and a dr. apt this afternoon. Please pray that his numbers haven't spiked and all is well. Cut off paper that sticks out around the edges of the die with scissors before running through the Big Shot. Save this paper. You will use it later for the teapot handle and the rim around the opening. Open at the fold. Cut off one of the curved ends as shown with Paper Snips. This piece you cut off becomes your teapot spout! Attach to inside front of teapot with Tombow Mulitpurpose Glue or SNAIL. Punch the paper you cut off before running through the Big Shot with the Large Oval Punch first, then punch around the negative space with the Extra Large Oval Punch to create the teapot handle. Add handle of teapot to teapot body with Tombow or SNAIL. Adhere the sides of the teapot to each other with a thin line of Tombow, leaving the top notched ends open. Add punched doily to curved edge of top of teapot with a thin line Tombow glue. Trim top ends of doily with Paper Snips. Add the Midnight Muse gingham side of the punched curve piece over the edge of the doily with a thin line of Tombow as shown. Add Silver mini-brad to the ends of the teapot you did not adhere with Tombow. Stamp “Just for You” from Label Love with Island Indigo ink on Whisper White Scrap. Punch with Artisan Label punch. Pierce hole in top of label with Paper Piercing Tool. Add teabag to your teapot, create a tiny card to insert, or add a giftcard. This project makes a great favor for a tea, shower, or mother’s brunch! Insert anything you can fit in the pouch, even a gift card! 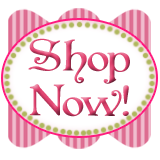 All products used are ©Stampin'Up!™1990-2013 and can be ordered by clicking on the Shop Now! button at the top left side of my blog! Stampin' Up! Sunday Swap Day #4! Good morning! How are you on this last Sunday of July? I ready to share with you a few more swaps! Without further ado, here we go! This card was created with 2013-2015 In Colors Coastal Cabana, Crisp Cantaloupe, and Strawberry Slush using the Sketched Birthday stamp set on page 13! Stampin' Up! gave everyone at Leadership in Orlando, FL this set, so I'm happy I have it! The greeting is from the photopolymner stamp set, Bombs Away Birthday! This set is a go-to when I want a fun, irreverent, birthday greeting! Next up is a card with the Tea Party stamp set (pg 35), Oval Collection Framelits, Beautifully Barouque Textured Impressions Folder, Tea Lace Doily, and Baked Brown Sugar 3/8" Stretch Ruffled Ribbon! Close-up you can see the attention to detail of both Stampin' Up! 's stamp creation and the stamper's coloring of the image with Baked Brown Sugar and Marina Mist ink & a Blender Pen. The addition of the 4-Petal punched flowers from the Itty Bitty Shapes Punch Pack and the Basic Jewel Pearl give dimension and vintage style! Last-but-certainly-not-least, Susie Wood created this center easel card with the Kind & Cozy (page 82) and the Simply Stars (page 124) stamp sets! Don't worry about all of those Real Red punched stars, the Merry Minis Punch Pack is still available on the Holiday Carryover List! The "hello" is from the Four You stamp set on page 22! That's all for now! I will be back tomorrow with more fun creations to show you and will have more swaps to show you next Sunday! Stampin' Up! Field Flowers Card Box! It's Saturday and we've had one good night home from the hospital. Alisa & Cody are exhausted from the ordeal of worry and care for Oakley.We are hoping they will get caught up on their rest just a little bit (but who really rests with a newborn?) Lots of napping going on around here! Oakley's next blood test and doctor's appointment is scheduled for Monday. Please pray his numbers stay down and they can settle into a normal new-baby routine. I thought I would try to show you a new swap today. I have swaps from the two organized swaps I participated in at convention, but haven't had any time to take pictures of them yet. My downline and friends swapped them for me. Today's swap is from the second monthly swap I joined recently. This is from the June swap. I did not get to participate in the July swap because of all the Oakley excitement. The greeting is from the Hostess set, Banner Greetings. Not a particularly mail-able card, but a candybar would fit in here nicely, don't you think? That's all for now. Tomorrow is Sunday Swap Day. I know I've almost only shown you swaps this month, but I hope you can forgive me for that since we've had so much going on. I hope to get back to creating next week if all continues to go well with Oakley. I'll bet some of you who check my blog daily have been wondering what happened to me. This past Tuesday Oakley was taken by ambulance to Cardinal Glennon Children's Hospital in St Louis to be treated for a high jaundice count, 23.5. He was put under the blue lights and given IV fluids to help his little body to process the excess bilirubin. He has made a swift recovery with no adverse effects. We returned home today with apts for follow-up blood tests and doctor appointment on Monday. We have to be extra careful for the next several days to make sure his fluid intake is ample so he can continue to keep his levels down, but otherwise he is a perfectly normal little fellow. They really have no explanation for what caused this to happen, but we are just thankful we caught it in time before the count went any higher. That's all for now. We are all exhausted. Good morning! It's Tuesday, which means Oakley will be ONE WEEK OLD TODAY! It's been an amazing week! We are so thankful he is here, is healthy, and is doing well (and so is his Mommy)! Today's swap card was created by Meg Wheeler. Meg used a Raspberry Ripple cardbase with layers of Birthday Basics Designer Paper and Bermuda Bay from the Brights Color Collection Designer Series Paper Stack. A bit of Coastal Cabana 3/8" Ruffle Stretch Ribbon add a festive touch behind the paper-pieced "Happy Birthday Cupcake" scalloped medallion. Inside is the really fun part! The Big Shot Typeset Alphabet Bigz-cut "HAPPY" is attached to strips of acrylic Window Sheet inserted into the fold of the card so it pops up! Meg used My Digital Studio to create the extra-large "Birthday" sentiment, then stamped the candle from Cycle Celebration. Stampin' Up! Secret Garden Suspension Card! Good Monday morning! I know a lot of people dread Mondays, and I must admit when I had a full-time day-job I dreaded Mondays too, but now that I am a full-time Stampin' Up! Demonstrator, that Sunday-night-a-little-bit-sick-to-my-stomach feeling is no more and I actually look forward to Mondays! A fresh new week, full of promise, full of energy, full of TIME to accomplish so much! The whole tone of my week is set by how much I accomplish on Monday! Right now I'm still at Alisa's, helping her regain her strength after Oakley's birth and mentoring her with the process of learning how to care for a newborn, and I'm loving it. I will still be here for a few more days, so I'm savoring every chance I get to cuddle on this sweet little man! That said, obviously I have had zero time to create anything new, and although I have TONS of ideas running through my head right now, they will just have to wait! Until I get back to stamping I will have to rely on a few more swap pictures from my collection. Today's card is from a second monthly swap I have joined, sponsored by my good friend, Meg Wheeler! This card was created by one of the girls in her downline. I don't have the card with me here at Alisa's so I can't give you the creator's name, but when I get home I will try to remember to update this post with that info. That's all for now! Hope your day Stampingrox! I know mine will with Oakley to cuddle! Order three packages of any of our current $10.95 Designer Series Paper (not including the Quatrafancy or Naturals Composition), choose a 4th package for free! Stampin' Up! Sunday Swap Day #3! Good morning! Hope you are having a good weekend! Today is "Sunday Swap Day", the day I share swaps I have received the previous month, so let's get started! Our first card today was created by Renee Watson. Renee used a fun and easy technique to get more bang for your buck with embossing folders. She inked the raised side of the folder with Crisp Cantaloupe ink and a brayer before laying the Crisp Cantaloupe cardstock directly on the folder and pressing gently. No Big Shot used for this technique, so if you LOVE the designs of our folders but do not own a Big Shot (yet! ), you CAN use them anyway! So fun! I also love the faded and incomplete look of the inking with the folder. Gives this card a more casual feel! Renee used the Six Sided Sampler Bundle for the "hello sweet friend" greeting and to punch the hexagons from Venetian Romance Designer Paper. A Very Vintage Designer Button and a bit of Soft Suede 3/8" Taffeta Ribbon make the perfect finish! Rhonda Bassler used Crisp Cantaloupe & Calypso Coral cardstocks with Everything Eleanor and A Dozen Thoughts stamp sets to create her feminine little pocket card. The Calypso Coral background was embossed with the Beautifully Barouque Textured Impressions Folder. To finish off our Crisp Cantaloupe/Calypso Coral day, Ruth Bingle created this fun card with the Gifts of Kindness stamp set, Apothecary Accents Framelits, Very Vintage Designer Button, and Calypso Coral 3/4" Chevron Ribbon! That's all for now! See you tomorrow for another Stampingrox! day! Hi there! It's Saturday, and I'm lovin' on my newest grandson, Oakley, this morning! God is so good! Just wanted to share with you the card I created for the gift (one of many!) I brought to the hospital for Oakley. Alisa likes the pirate/skulls motif, so I used the new Witches Brew Designer Washi Tape from the upcoming Holiday Catalog starting August 1st to create this little gem! Although it's very hard to see in the picture, I layered the washi tape on my Whisper White layer, then embossed with the Stripes Textured Impressions folder! Accessories: Witches Brew Designer Washi Tape, Big Shot, Stripes Textured Impressions Folder, Hexagon Punch, 1 3/8" Circle Punch, Label Bracket Punch (also available starting August 1st in the Holilday Catalog! That's all for now! Tomorrow is another Sunday Swap Day Share, so come back and see me! Until then have a Stampingrox! day! Stampin' Up! Sketched Birthday Easel Card! Good morning! Happy Friday! I'm at Alisa & Cody's helping with Baby Oakley for the next few days, so I'm in Grammie heaven! Today I have a card that I CASED from myself! I posted my first easel Chalkboarding card HERE. I take my samples to workshops and if someone wants to make a display card at an upcoming party, I do my best to bring it to them. This card is an example of my efforts to grant a group's request. The card from the earlier post was made with stamps (inside & out) that have now retired, so I redid it with the current stamp set, Sketched Birthday. What do you think? I really love the little Real Red Brights Candy Dots in the three corners! That's all for now! I'm loving my time cuddling with Oakley!